Dreams Of A Brownman: What is up lately? 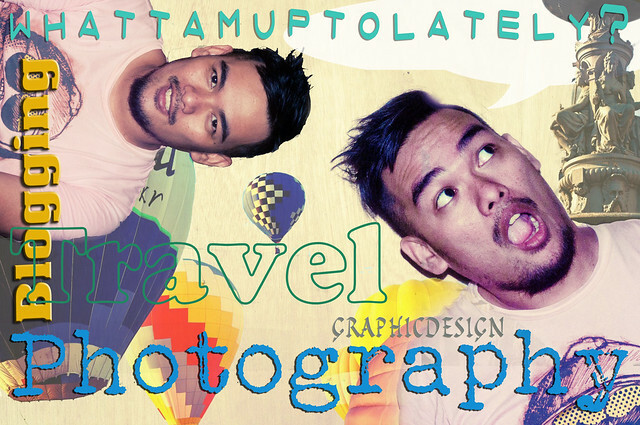 Travel is on a underdevelopement mode nagiipon pa para sa big trip later this year =) yep I am excited about it. I'll be selling some of my stuff for the trip so visit kayo ulit next time so you can buy some of it. Anyways till next time! Hou hui you qi! OHHH! did I mentioned I was studying Mandarin too? hehehe Zaijian!